Randolph and Baldwin specializes in complex engineering and design of small, medium, and large sized projects. Our team of young and experienced engineers will find creative and practical solutions that meet your requirements and specifications. With full manufacturing capabilities, prototyping design and testing will be completed within Randolph and Baldwin quickly and efficiently. 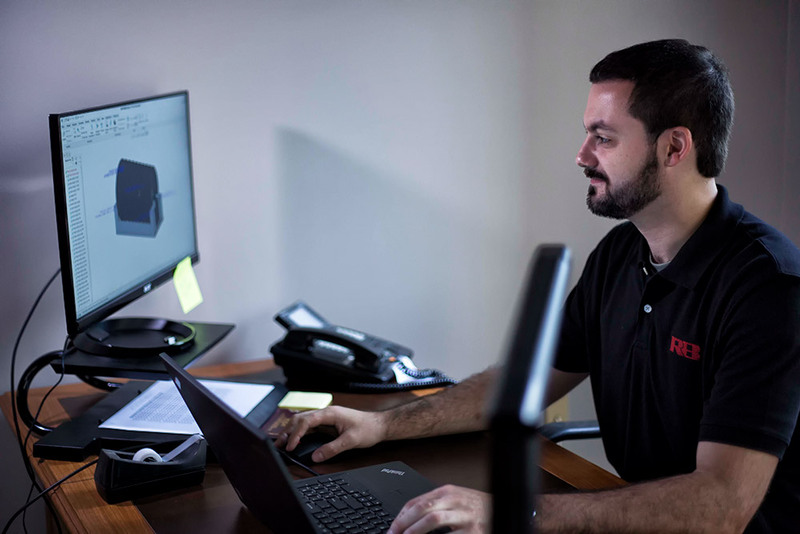 Our engineers are experienced in PTC Creo Parametric 3.0 and have experience with Solidworks and other computer aided design solutions. We are able to provide virtual finite element analysis reports as well as FEA test reports for small projects. Our engineering team is supplemented with an experienced inspection team utilizing state of the art CMM machines and software. We make things that work and have been doing so for over 75 years. For more information on Randolph and Baldwin’s Engineering & Design services, please contact us.